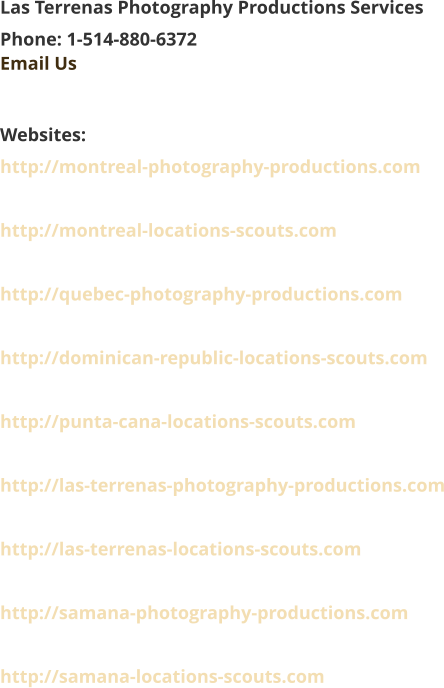 Whatever the project's description reads we have a good network of contacts in the casting arena. For Artist casting we use skilled freelancers out of Miami and we can make video or images available instantly on the web, so all you have to do is decide on who to choose. We can also help you with artist contract issues and payments if required. We can also help you source costumes locally to your requirements for locally cast extras or artists. 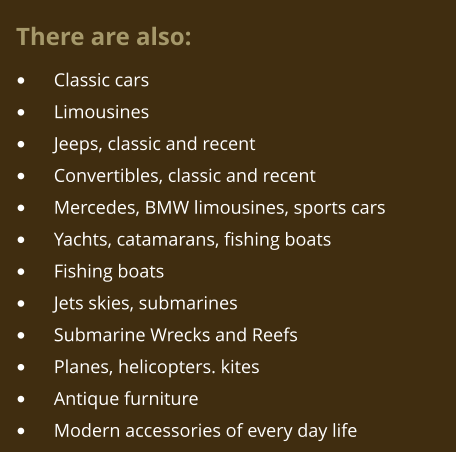 Historical and modern accessories are available in large numbers all over the Dominican Republic: - Luxury cars, bicycles, stylish yacht, aircraft, etc… There is a wide range of stylish clothing and accessory stores for sports and swimming as well as costumes boutiques for all occasions.